Flourish Floral Productions Inc. is an event and floral design company that has extensive experience creating the perfect setting for your wedding and reception. Whether you would like a larger more glamorous event or a small intimate dinner to be planned and decorated, this team will be able to use the appropriate flowers to create the right atmosphere for you and your guests. Local flower shops do not have near enough experience in either design or have enough creative skill to accomplish this level of results. Randy Lowe, the owner and designer at Lowe and Behold, has been working in the floral design industry for over 25 years. 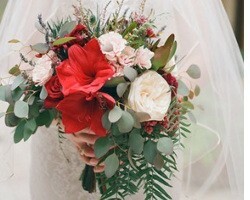 In this time he has expanded his services to include wedding event design but his heart is still in being an Orlando florist with some of the most creative ideas. 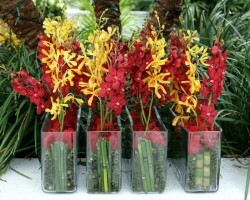 Rather than hiring a company that just offers flowers= delivery in Orlando, you can work with this professional. Randy and his team offer to design the entire event with beautiful flowers that can be integrated into every aspect of the day. Since 2001, Raining Roses has been one of the top floral design companies in Florida. 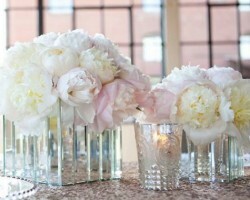 This company does not only use the freshest and lushest flowers but they also create an entire décor theme. This includes using outside items, drapery and table linens to complete the entire look of the event. 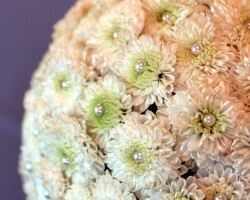 With flowers at the center of the decoration, you can be sure that the bigger picture is beautiful and elegant. Reviews of this company make it clear that they are dedicated to creating beautiful spaces for weddings. When you picture your wedding day, chances are you will imagine being surrounded by lots of fresh flowers and decorations that create a beautiful space for you to tie the knot and to celebrate afterwards. If you would like to make this dream a reality then you need to work with the event floral design team at Greenery Productions. This company does not just have set wedding flowers but rather works with the couple to come up with the complete design from scratch. As florists in Orlando, FL, the team at Blue Ribbon Weddings is focused on more than just providing you with pre-designed flower arrangements. This company is focused on completely unique designs that can easily become a part of the décor for the day. 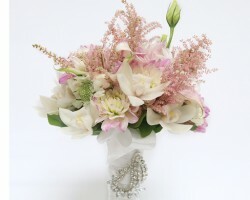 Hiring this team means having lush flowers that have been perfectly designed for the occasion. You will also enjoy the fact that this company works to make sure that their services are as affordable as possible for your entire wedding.